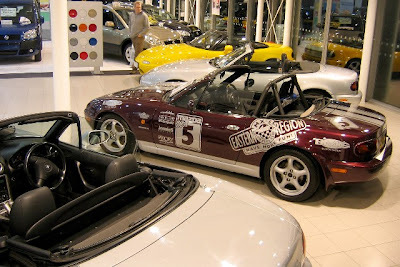 Project Merlot takes the spot light at a special evening arranged by EMG Mazda in Cambridge. MX-5 owners and MX-5 Owners Club members were invited to EMGs new multi franchise showroom and with EMG now featuring as one of the Merlots newest sponsors the cars was given a bit of a polish up and put on show. 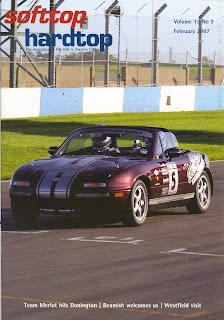 February issue of STHT - The magazine of the MX-5 Owners Club features Project Merlot not only as a centre page article but as the front cover photo as well!